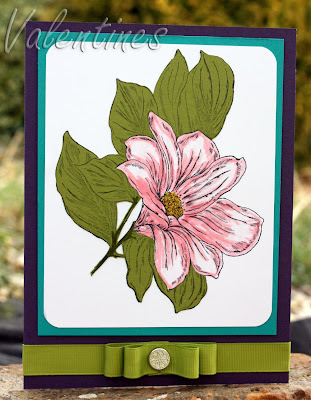 Clair Matthews: Colour Combo Challenge..
Just completed another one of Caroles colour combo challenges over on ILWS.. This time the colours we had to use were.. When I first put them together I thought it was a rather odd combo...but I actually really like it now its completed & I used a stamp that i've never used before. Don't think that would be my chose colour combo mind! Fab card....the taken with Teal card really makes the flower pop and love the way you have dressed the ribbon. This is Gorgeous.. I love this colour combo & your Bow is stunning. This is stunning, colour combo works so well, really like what you have done with the ribbon.